I hear you when you say that establishing and sustaining a startup is a tiring, painful and many a times no quick-return venture that frustrates the hell out of you. So does every parent also goes through the same experiences as they bring a child into this world, constantly pampering and nurturing him and overly worrying about everything that associated with the little guy. But every ordeal that you experienced fades away in front of the amazing feeling that you get when you see that little boy grow and become a strong and successful person in life. Same is the case with launching any startup. 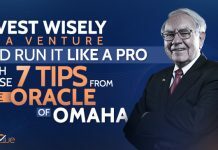 You might have a great idea, but to convert that idea into a reality that rakes in millions is an entirely different story. The key to running a successful business is to harness the power of the internet to operate, manage and promote your company. Being a business owner, you should be aware of all the relevant tools and software to manage and automate your business operations, so that you can focus on fulfilling the needs of your target audience. 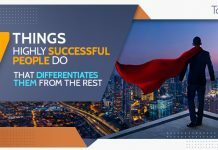 Regardless of whether you want to launch a new idea, expand your operations to take your business to new heights, here is how you can hit the ground running for maximum success in 2018 and beyond. In this blog post I have compiled a list of useful tools and technology that can help you launch, run and grow your startup smoothly. Once you have come up with a great business idea, it’s time to systematically turn into reality. 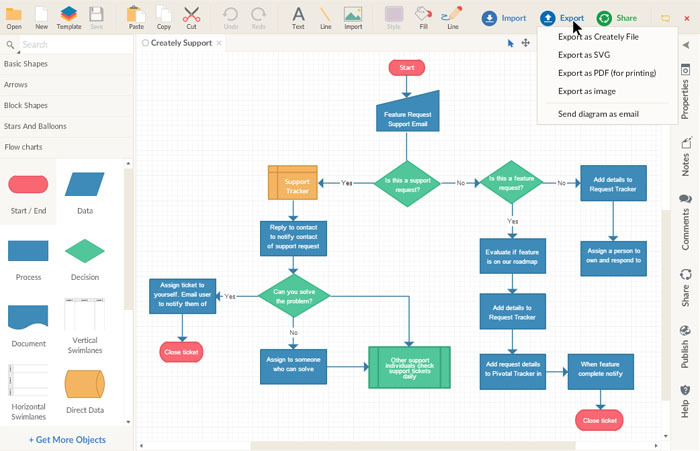 Creately is a diagramming and collaboration tool that helps you create flowcharts, UI mockups, UML of various processes in your business. You can easily create a mind map of the product launch, SWOT analysis for market research, Gantt chart of timelines and much more with this web-based tool, Creately. It has real-time collaboration that helps you invite anyone to collaborate through email and every change your team makes to the diagram can be easily seen in real-time across Creately online or Desktop. You can publish or embed your mockups on different collaboration platforms. You can easily import your Visio files into Creately and export PDF with working links to other diagrams. You can track complete revision history of all changes and every change you make is saved as a separate version which can be accessible to anyone, anytime. There is nothing as rewarding and satisfying as completing your tasks on time without feeling overwhelmed. TaskQue is an effective productivity management tool that helps you get more done with little effort. 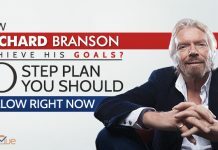 It is a web-based tool that has intuitive and powerful features that help you get organized and keeps you in control of everything you need to get done. This effective productivity management system gives you the ability to visualize and prioritize tasks, create personal to-do lists, share ideas, collaborate with your team members – all in one place in real time. 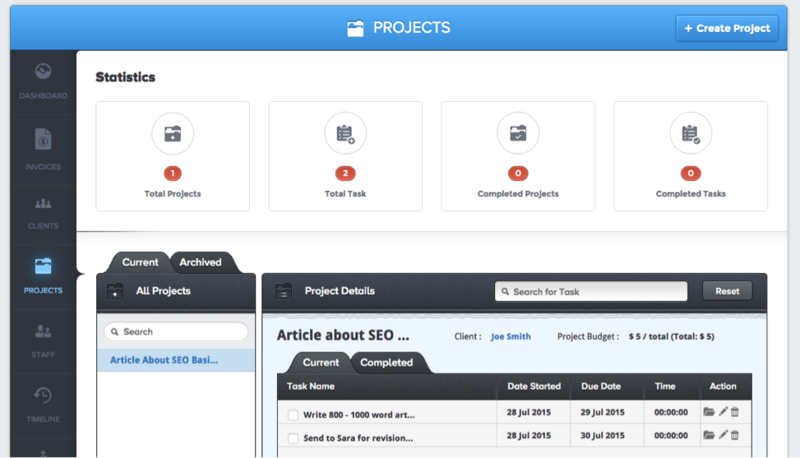 The easy-to-use dashboard allows you to manage all your resources across different projects and keep track of your resources’ performance and project deadlines. The unique feature Queue has the power to distribute workload to all your resources by using its smart task allocation algorithm without overwhelming your team. The unified collaboration platform helps you to discuss ideas with your clients and team members to ensure quality deliverables. 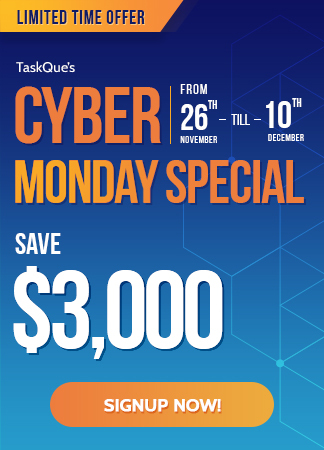 TaskQue is an effective task management tool that is customizable and molds according to your business processes while meeting the specific needs of your organization. It can integrate with Slack and other third party apps for added functionality and streamlined operations. It is a perfect choice for those who want to stay productive, focused and organized. Business owners should implement a robust CRM system to manage data relating to your existing and potential clients. Podio is a customizable work management tool that allows business to build CRM and project management workspace, helping your team to work best in order to improve task efficiency, delivery time and relationships. The tool allows you to manage your clients’ data, track and manage client communication, track billing information, manage invoicing, create mailing lists from the data you have on record. Podio helps you to keep a close eye on how you and your team spend and manage their time. The customizable tool also allows you to build custom apps to track the data and associate it with other apps through automated workflows. 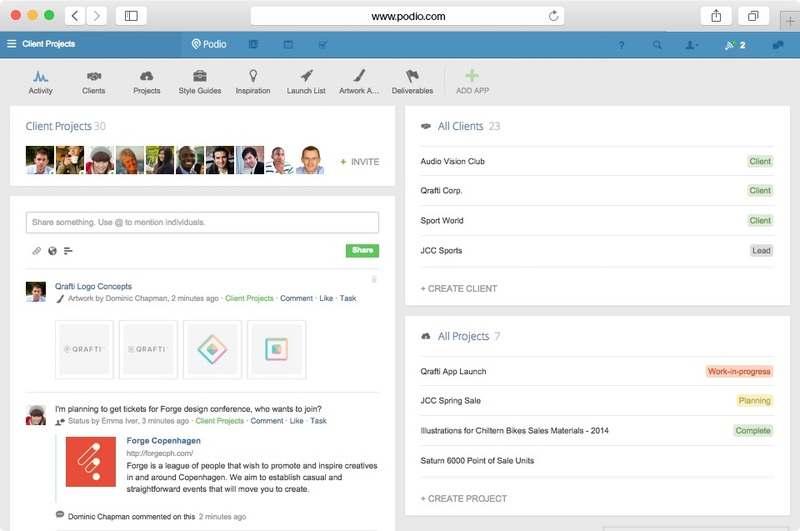 Podio enables entrepreneurs to mold the tool according to the needs of your business. QuickBooks is an awesome small business account software that helps you keep everything organized in one place. It is easy to use and works across different types of devices. 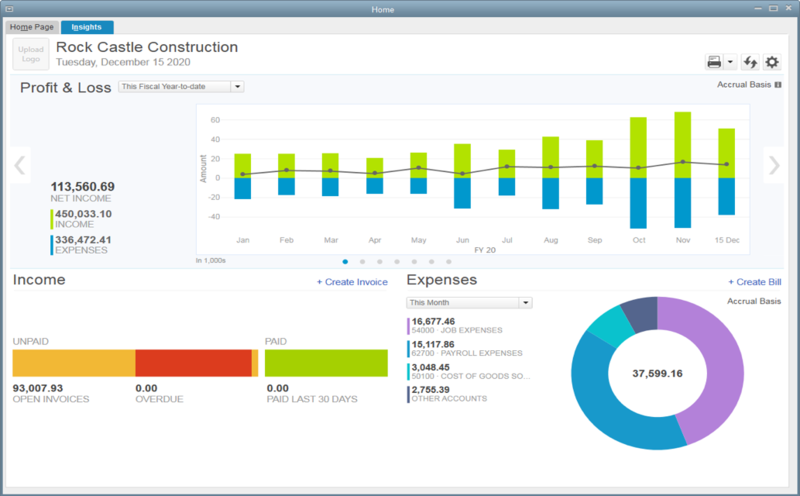 The tool helps you track expenses and sales, while allowing you to manage your taxes. It can connect your bank account to automatically import and categorize transactions. The best thing about QuickBooks is that it can sync with famous apps and easily snap photos of your receipts to store them with QuickBooks Mobile. It can help you manage your bills, record payments, pay multiple vendors and share your books for seamless collaboration. Tracking time and resources is challenging for many businesses. With Wise Time, you can automatically and seamlessly create accurate time tracking reports that helps managers to understand how their resources are utilizing their time. Wise Time is a powerful time tracking tool that helps you know exactly how the time is being spent. 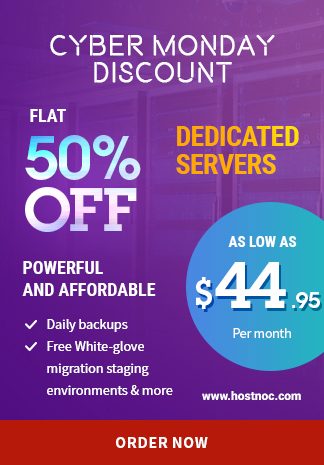 It helps you manage your workforce, increase revenue and productivity. It operates behind the scenes in your computer, tracking on which documents, tasks or websites you are spending your time. The seamless time tracking tool creates automatic entries of everything you are doing without any effort. This amazing tool gives you an ability to easily track your work and personal activities that you may not want to share what you do on your computer that is not work related. With Wise Time, you can choose which timekeeping records to post and which to track privately for your personal use only. This helps you understand how your time is being spent, what tasks, projects are taking most of your time. 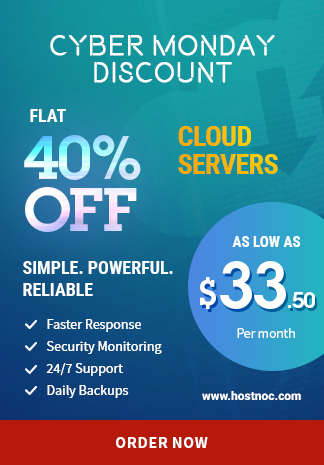 It can easily integrate with your current workflow, finance, project or software management apps, and virtualized enterprise environment. Customer relationship management (CRM) is important to running a successful business. As your business grows, you will definitely need a robust system that will help you to manage data relating to previous, existing and potential clients. 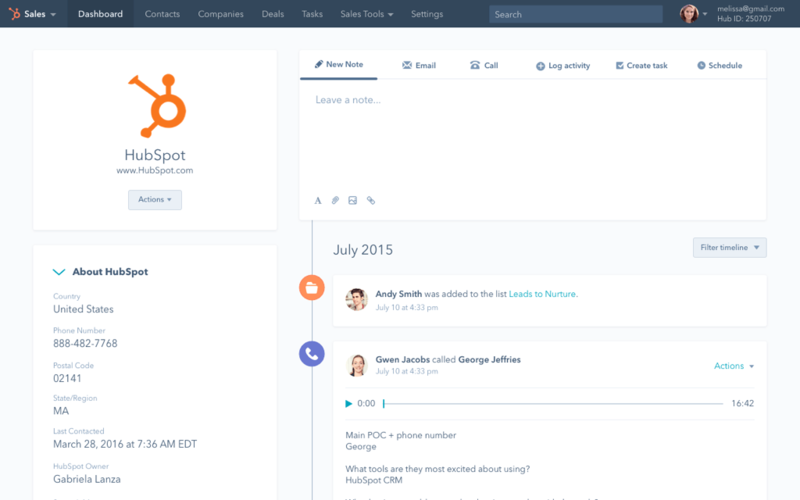 HubSpot CRM makes it easier for business owners to organize, track and grow your pipeline. It helps you deeper insights on every customer and monitor deals with ease. HubSpot CRM allows you get an up-to-the-minute view of your entire sales funnels on an intuitive dashboard. You can track customer interactions, sync with Gmail or Outlook by using HubSpot Sales and immediately track every call, email or meeting. HubSpot is a free CRM tool that nearly every business needs to organize, track and nurture your leads and customers. Due is a free tool for entrepreneurs and startup founders, providing a seamless solution for billing and payments. This financial management tool helps you speed payment and increase cash flow. 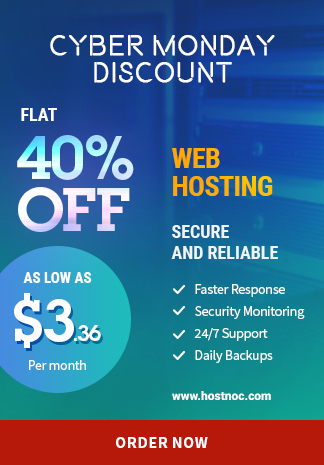 It also offers customized invoicing templates and tools to give you a fast, accurate and convenient way to send and receive bills and payment options that include PayPal integration, eCash transactions, digital wallet and domestic international credit card processing. In this digital business world, modern consumers want instant gratification quick fixes. Poor customer support can usually be attributed to a company being careless, uncommitted or disorganized. Groove is a simple help desk software that delights your online customers with special and personal support. The customer support tools help businesses to collaborate on all your customer emails, social media posts, live chats and calls, all in one helpdesk. Groove can turn Gmail, Outlook or any other email software into your team’s customer service help desk, allowing you to deliver outstanding customer service through email. In addition, the report dashboard also helps you to keep up-to-date with the online customer support metrics. Groove can easily integrate with Slack, Olark, HipChat, Twitter, Facebook, MailChimp and number of other apps to manage your online customer support. Box offers a secure way to share and edit your documents and collaborate with coworkers, clients and partners from anywhere and on any device. You can view any file without needing to download it. 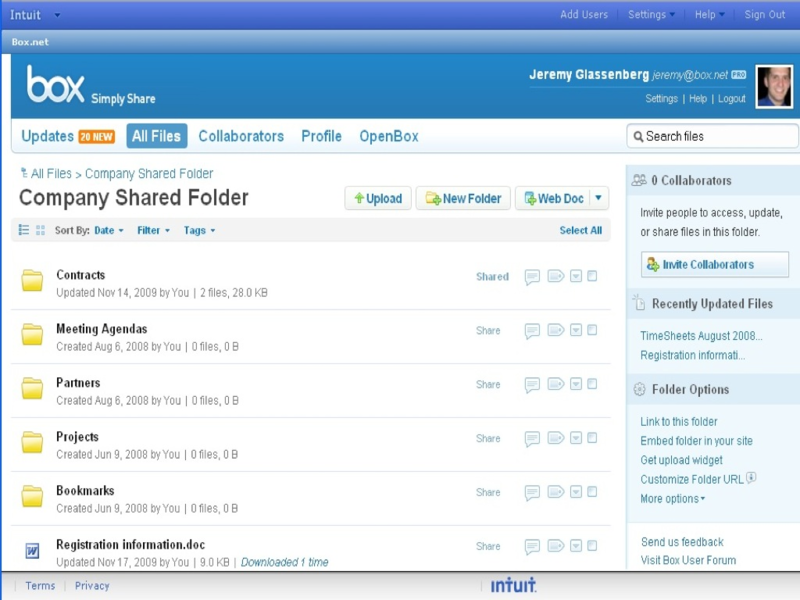 Box allows you to centralize your files, keep your resources on a same pace and simplify workflows. Box works great with a number of apps including Slack, Symantec, Salesforce, G Suite, Office 365 and more. It provides more efficiency, simplicity and security for your team. Thanks to the free and useful tools and apps that augment your business processes, manage your operations efficiently, boost productivity, organize your workflows and close more leads. Give these tools a whirl to launch and grow your startup.